This entry was posted in Content and tagged 70 Division, 90th Light, Axis forces, Ground forces, Tobruk. Bookmark the permalink. ← Canon de 155 Mle 1917 Schneider C – who used them? The italian account showed that the 21st of november, the Bologna division, which was defending this sector with Div.z.b.v. lost all his artillery : 205° reggimento artiglieria (2 Gruppi of 100/17 and one Gruppo of 75/27) reinforced with the II./ 24° artiglieria di corpo d’armata (heavy guns of 105/21). This loss was dramatic as this division was already asked by Italian high command to divert units against the Southern Threat (II./ 39° fanteria and XXV battaglione genio sent the 20th of november to Belhammed sector, and II./ 40° fanteria sent to the line between the via Balbia and landing ground of Bu Amud). Rear area of Bu Assaten: 3rd and 4th Groups of 205th Artillery Rgt. In front of Si Scegheilif (at the back of stronghold n. 11): 1st Group of 205th Artillery Rgt. Km. 10 Axis road: 2nd Battalion of 39th Infantry Rgt. On 21st November the IV/205 was destroyed during the first attack (Tiger), like the I/205, at the rear of Jack. The III/205 (strongpoint n. 14), at rear of Bu Assaten, fought until the 2 p.m. and then it withdrawn back to Fico (Carmuset Beludeah). An Artillery Composite Group took position near to Magen Bent el-Aareg (south-west of Magen Belhamed and north of El Duda); it consisted of two 105/28 Battery (sent from XXI Corps HQ) and 11th Battery of 205th (75/27). English captured these guns on 26th November, not on 21st. Only Italian Corps Artillery was equipped with 105/28 heavy guns. Have you any document, relazione or any else for Brescia? I have a current research on Brescia and 1. Regt. Artiglieria Celere (Articelere). Merci beaucoup Cédric. I presume this is from Montanari? I’ll post the OOB of Bologna in the near future. The diversion of forces you indicate means effectively that over half its infantry strength had been removed. After losing the artillery the division would have been an empty shell. Yes from Montanari. But this book must be taken with care, as some datas were not verified. And I check this information with the Panzergruppe KTB, which has also a mention to the loss of all Bologna’s artillery during this first attack of Tobruk’s defenders. Bologna fought well the 23rd of november against another attack, but Italian command sent as soon as possible Pavia to reinforce the sector. I agree that Montanari is a “use with caution” book. Thus far I have only found the reference to them losing an Abteilung (i.e. a battalion – see my other comment), not the whole of the artillery, but I have not finished going through the data yet. On 21st November Italian Division Bologna was under pressure from two sides like Afrika Division. 7th Armoured Division attacked I.R.155’s (1st and 2nd Bn.) positions on the northern escarpment at Sidi Rezegh joined up with 1st Bn of 39th Rgt. 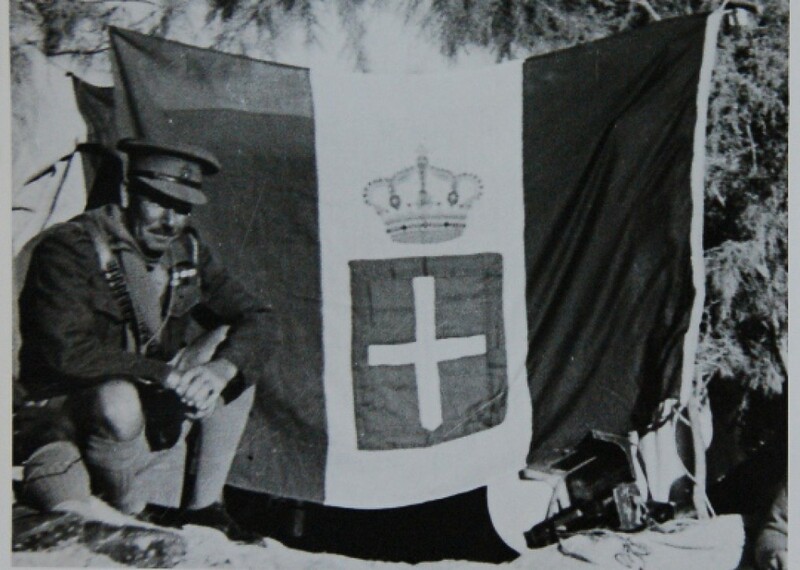 Fanteria and 73rd ATG Coy (my father company) of the Bologna Division, while the Tobruk garrison attacked the Axis’s strongpoints at East Tobruk (Bu Asaten area), occupied by 1st Bn of 40° Rgt Fanteria (strongpoints n. 14, 15 and 16) with IV/205 and III/205 Artillery Rgt. at the rear, at south-west side, and I/205 Artillery Rgt. at north-east side (at the back of strongpoint number 11, hold by German III/155), There were the reinforced III / IR155 and part of III / IR255 in the strongpoints number 18, 19, 20 and 2, while III / IR347 and part of III / IR255 was at the rear (Si Scegheilif). Then there was 1st Bn of 86th Rgt (Sabratha Division) in strongpoint number 1 at the north of via Balbia. The German troops didn’t got any artillery units in that area. It’s false to claim that the German soldiers had been issued Italian uniforms for deception reasons, just see the pictures, and then they were the first to fold up at the strongpoint Butch and Jack, while the Italian positions (14 e 15) were got after the 2,15 p.m… The IV/205 was destroyed during the first attack, like the I/205, at the rear of Jack. The III/205, at rear of Bu Asaten, fought until the 2 p.m. and then it withdrawn back to Fico (Carmuset Beludeah). At dusk new front lines were set up, the first via Balbia- old strongpoint 5- old strongpoint 6” (with 6th e 7th Companies of the 40th Rgt. Fanteria in conjunction with III/347 and parts of III/155 e III/255) – Fico (Carmuset Beludeah) – South area of strongpoint 10 (Bir el Garsa). The second line went from “Strongpoint Bu Amud (with 2° Btg. 40° Rgt. HQ, 5^ Coy 2/40, 1 Battery 77/28 and 1 Battery 75/27) – thru Magen Belhamed strongpoint – to Strongpoint Belhamed. An artillery group took position near to Magen Bent el-Aareg (south-west of Magen Belhamed and north of El Duda); it consisted of two 105/28 Battery (sent from XXI Corps HQ) and 11th Battery of 205th (75/27). English captured these guns on 26th November, not on 21st . Only Italian Corps Artillery was equipped with 105/28 guns. Many thanks for the very informative comment, which is very helpful. As I think I indicated in my entry, I think that sometimes reality and the war diary of Div.z.b.V. are difficult to bring into agreement, e.g. when it comes to the question of Italian performance. Regarding the uniforms, I am thinking these were only issued for patrols (which the newly arrived Germans did conduct inside the British strongpoint systems), but not for continuous use. 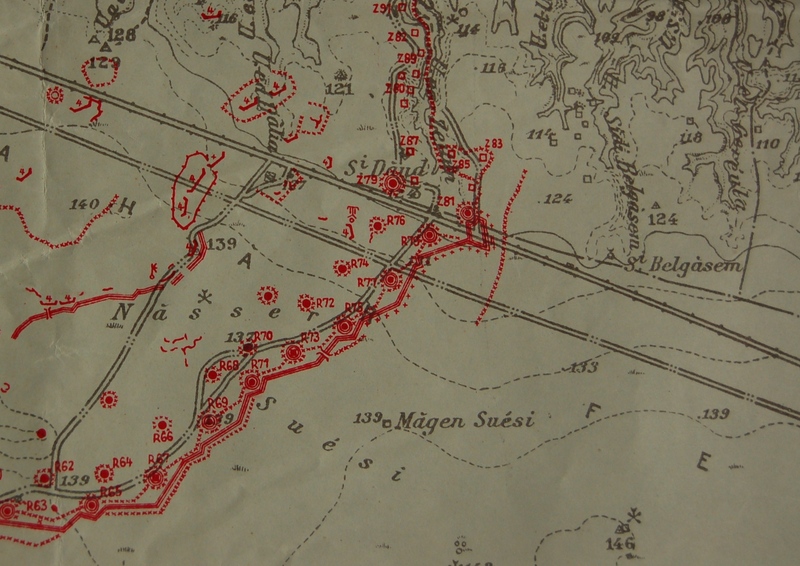 Regarding the guns, the cruisers of 1 RTR report taking out a position with 6 guns at a position almost due east of objective TIGER (about 2km) and about 1.5km north of WOLF. They were finally shot to pieces outside FREDDY, after undertaking the deepest break-in of the day. Sabratha was not involved in this battle. I think it was destroyed at El Alamein, maybe during the Australian attack at Tel el Eisa on 9 July 42. I’ve noticed that most British and American authors repeat the nonsense when they deny the important role the Bologna played in wearing down the attackers on 21 November 1941, saying that the fierce resistance encountered by the Black Watch was largely because of the presence of German soldiers who were dressed in Italian uniforms. I would be very interested in contacting a friend Dario. His father fought with Division Bologna as my Father. E ‘possible to have your e-mail? Hello everybody, if I remember well the Bologna Division was reported destroyed several times in the Allied press thanks to British propaganda that always showed the Italians in poor light. However the Italian division (according to The Bologna Division: 19 November – 10 December, 1941) fought stubbornly and in fact covered the retreat of the German Africa Division between 8 and 10 December 1941. I believe you are referring to this blog? i) The German Division z.b.V. (later 90th Light) had actually relieved Bologna in a number of strongpoints. It is quite likely that Germans wearing Italian uniforms were captured in the initial push on 21 November. The German soldiers in the most advanced strongpoints had to wear Italian uniforms, to keep the relief secret. ii) The British did not know ‘everything’ about the plans to take Tobruk. For example, they did not know that the German soldiers had moved into the position. They also did not know the exact date, but they had a good idea of the date plus minus a few days. In my view Bologna had its heart ripped out in the first break-out attack. That it resisted, and continued to resist, shows how much the Italian infantry was underrated by everyone, the Germans and the Commonwealth. The heavy losses it suffered in the battle are testament to this. I am all for giving the Italian forces credit they are due. But one has to be careful not to go too much in the other direction. Well, I´m working in an open blog about the traces of the ww2 in North Africa using Google Earth (GE).The idea is to draw this kind of traces an offering them in a kml file format for free. Please visit gesww2na.blogsp ot.com (not sponsorized) and fell free to discuss whatever you want. Nowadays I´m trying to reproduce the fortress of Tobruk with the traces wich remains recognizable on the ground. In order to offer a correct information, I would like to reproduce the alfanumeric nomenclature of the post (boxes) along the Red Line and inner others. Last afternoon I found this post with a partial view of just the map I need!!! Ok. The question, of course, is: How can I get this whole map? Thank you very much in advance! And congratulations for your nice blog! I can have a complete map of tobruk boxes.